Owens Corning has been at the forefront of producing the best roofing color combinations for homeowners nationwide. Their Shingle Color of the Year highlights a shingle color palette that best represents the year’s color trends while maintaining a timeless look for the home’s they’re installed on. 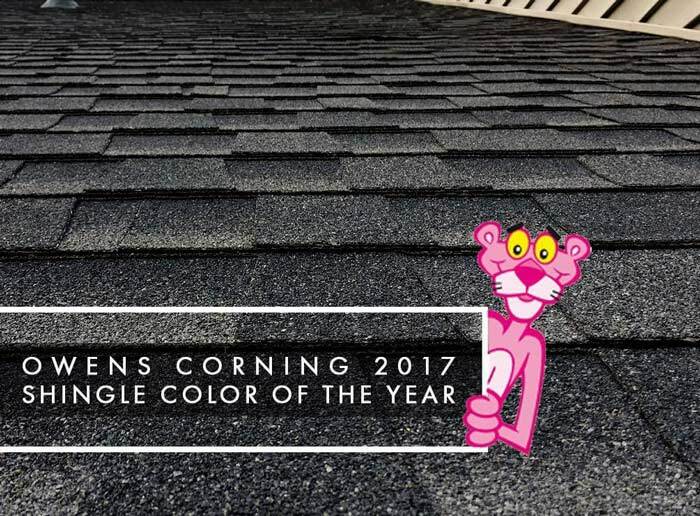 As one of Owens Corning’s certified roofing companies, let Kroll Construction discuss their Shingle Color of the Year for 2017. This year, Owens Corning turned to Leatrice Eiseman, a global color expert and Executive Director of the PANTONE Color Institute™, for guidance on how color affects homeowners lives and inspires complete home designs. This is how they came up with Sedona Canyon, Owens Corning’s 2017 Shingle Color of the Year. As part of the TruDefinition® Duration® Designer Colors Collection, Sedona Canyon was conceived to evoke the tactile quality of wood and the calming influence of shades of blue. Sedona Canyon is reminiscent of traditional wood shake shingles but with a variety of subtle undertones simply not possible with real wood. The combined burnt amber, butterscotch, and chestnut colors play off with shades of blue, creating a deep and unique color effect. Ask local Owens Corning-certified roofing companies like ourselves if you want Sedona Canyon for your next roofing replacement. Not many roofing manufacturers put as much thought into color as Owens Corning does. The partnership with the PANTONE Color Institute has helped Owens Corning identify amazing color pairings, and takes eyeballing the colors out of the equation; instead, they select color combinations scientifically using PANTONE color swatches. The color pairings page displays popular color choices, which, upon clicking, displays other available options that look beautiful with that particular shade. You will then have the option to explore more combinations using the same color, or similar combinations that help you narrow down a color palette for your home. You will also have the option to virtually try the color scheme on your home through Owens Corning’s Design EyeQ™ application. As an Owens Corning certified roofing company, we are proud to offer Owens Corning products to our clients. To know more about Sedona Canyon and other Owens Corning shingle colors, call Kroll Construction today at (888) 338-6340 or fill out our contact form to schedule your free in-home consultation and estimate. We serve Detroit and nearby areas in Michigan.